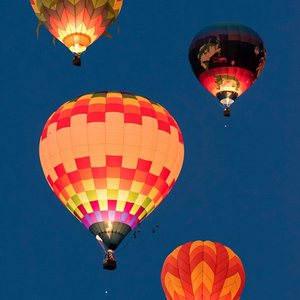 Join us for this pie-themed, family-friendly hot air balloon festival in Kyle, Texas! 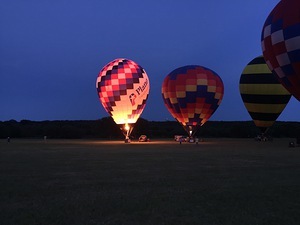 Enjoy more than 20 balloons along with live music, children's activities, contests, tethered rides and a beer and salsa tasting tent. A specialty balloon from Wells Fargo will be on site. Glows will take place Friday and Saturday nights at dark. Plenty of hotel space in town to make a weekend of it! 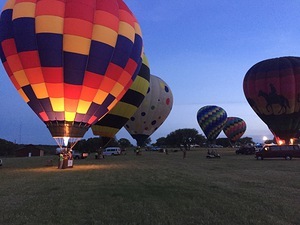 We're the only hot air balloon festival in the Texas Hill Country. Don't miss this event! From the north: Take Interstate 35 to FM 150 in Kyle. Go left and cross over the highway. Continue to Lehman Rd. Turn left. Venue is about 1 mile on the right. From the south: Take I-35 to FM 150 in Kyle. Go right. Continue to Lehman Rd. Turn left. Venue is about 1 mile on the right.